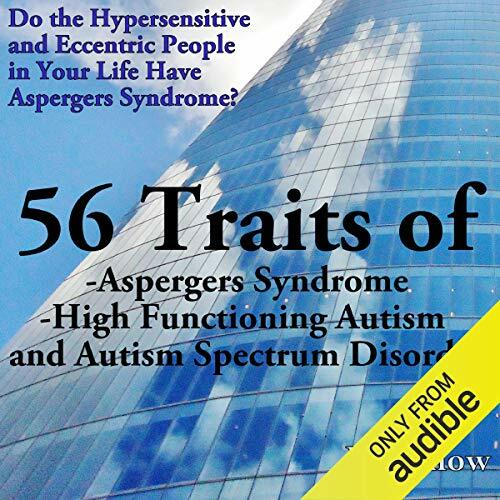 In this book, we will discuss the different overt and covert traits that can be seen in those with Asperger's Syndrome in its list form. If you feel that you or someone you know has Asperger's, it is essential to have the diagnosis confirmed so that the Asperger's person can seek help in learning the skills that are essential to making them more successful in their ambitions. Asperger's Syndrome children and adults have an underdeveloped brain on MRI scans. They lack the brain development in certain areas that help them to keep up with their peers. They may be advanced in specialty areas, but they may lag behind their peers in normal development of other areas. Their nervous system and their emotions are often sensitive. They often feel alienated from their peers, as though they do not fit in. Asperger's can cause depression, and possibly even suicide, if it not recognized early.